San Francisco, CA; Nairobi, Kenya; New Delhi, India; Amsterdam Netherlands; Kigali, Rwanda – “ We’re thrilled to partner with our solar-colleague who has championed bridge building between developed and developing markets. ” says Ned Tozun who founded d.light together with Sam Goldman. “ We’re ‘delighted’ to cooperate with a partner which has proven that solar can be scaled profitably in off-grid markets. “ says Camille van Gestel co-founder of WakaWaka with Maurits Groen. Together the two companies have already empowered the lives of well over 80 million people worldwide. By joining forces they expect to accelerate the speed at which they achieve their common goal. Both companies want to provide light and power to more than two billion people worldwide who do not have access to reliable electricity. 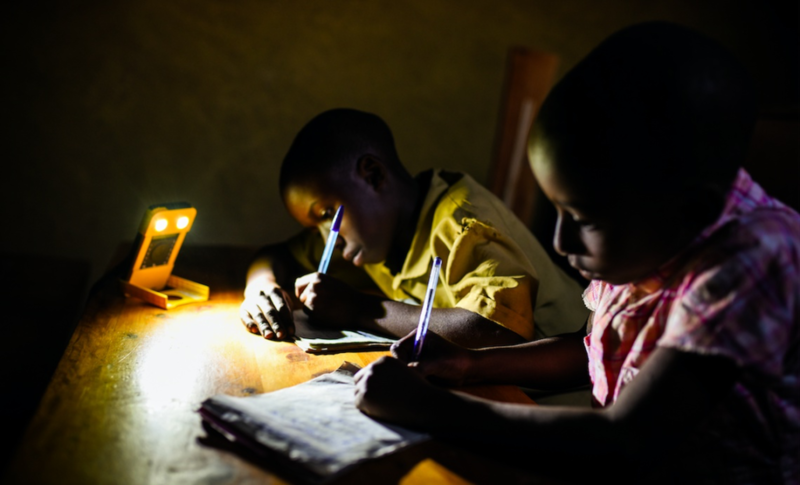 Even today, 140 years after the invention of the light bulb, billions of people still rely on dangerous, toxic and expensive kerosene lamps for lighting their homes. Because each company has a distinctively different approach, d.light and WakaWaka complement one another perfectly. d.light has become the undisputed industry leader in off-grid electrification. WakaWaka has won a unique position by bridging between consumers in Europe and the US and off-grid communities by selling and distributing the same high quality solar products in both markets. d.light and WakaWaka will start to utilize each others core strengths and expertise. Each company will focus on their main markets while leveraging mutually available economies of scale and business networks. The newly found partners will explore cost saving opportunities, joint impact projects as well as reinforcing brand equity for both brands. By working together they expect to amplify their collective impact. Ned: “The poorest people in the world are spending 20% of their income on energy sources that pollute their lungs and cause thousands of deaths each year. The sooner we’re able to make clean energy products universally accessible and affordable, the sooner they can start experiencing a brighter future”.